I know you’ve heard me talk a time or two about a certain cookie baking fool friend of mine……like when she came to visit me this summer, or when she started the fabulous University of Cookie. Well, you know how great friends can be…….when you’re in a bind, they step in to help! The amazing Ms. Bridget has offered to entertain you all while I’m headed to wine country to hang out with some amazing women!! We will be in Napa Valley, CA cooking with Bush’s Beans for their Flavors from Around the World event at the Culinary Institute of America! ……I KNOW! Right?! SO fun!! I’ll fill you in on all the details when I get back. Hi there! I’m Bridget from Bake at 350 and I am so thrilled to be here today guest posting at TidyMom!!! I am a little in awe of Cheryl…she bakes, she cooks, she crafts, she takes beautiful pictures….all while keeping a tidy home. Me? I’m a one trick pony. 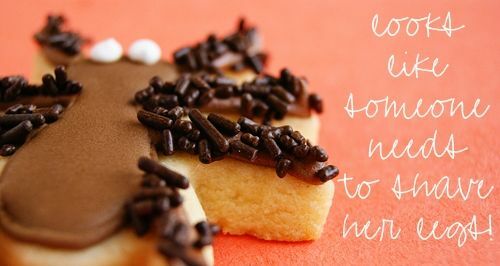 I ONLY bake…and can barely keep my house in order. 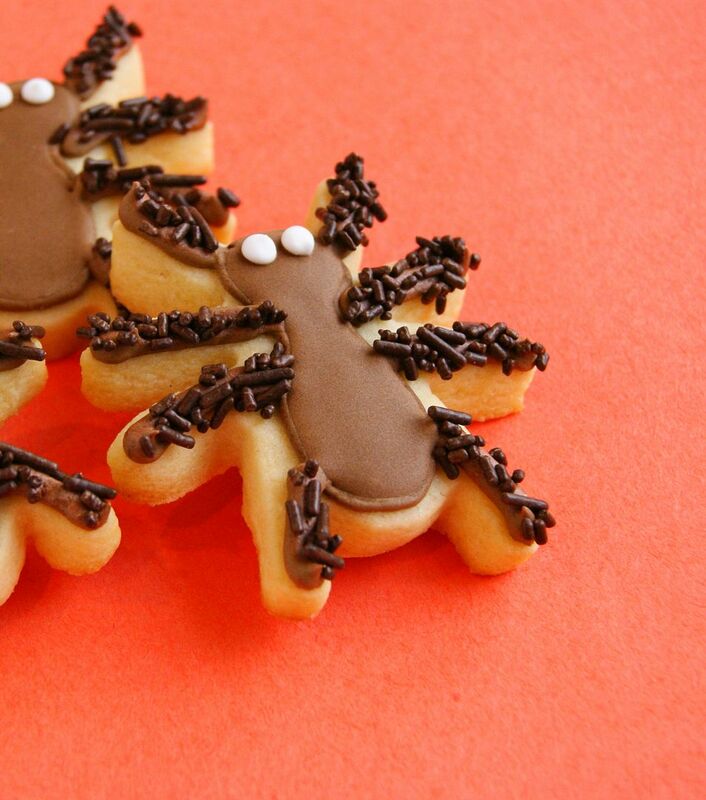 So, today…how about a HAIRY SPIDER cookie for Halloween? My sister cut this idea out of Family Circle magazine for me a few years ago and I’ve always wanted to make them. Especially as a mom of a boy, making a “creepy” cookie earns me brownie points. 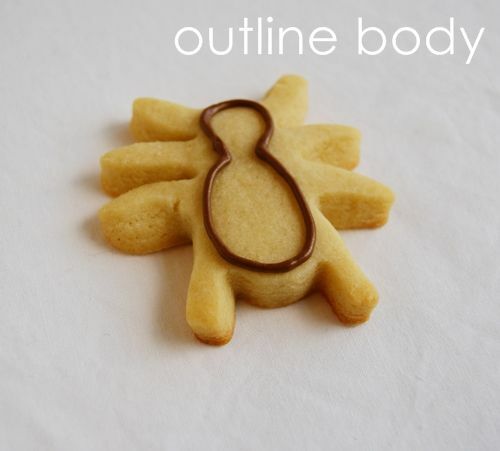 First, using a #2 tip and brown royal icing, pipe the outline of the spider body. 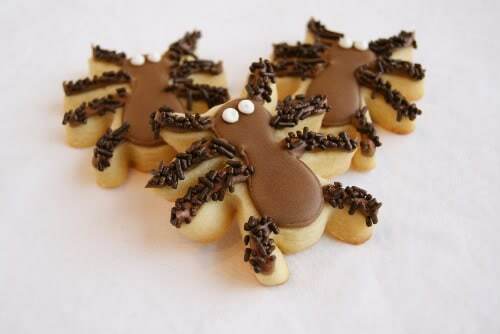 Change the tip on the piping bag to a #7 tip (or another larger round tip) and pipe on the spider legs. Add water to the remaining brown icing, stirring in a bit at a time, until the icing is the consistency of thick syrup. Cover with a damp dish towel and let sit several minutes. Uncover the icing and stir gently with a rubber spatula to pop the bubbles that have formed on top. Transfer to a squeeze bottle and fill in the outline. Use a toothpick to guide around edges. Let the cookies sit for 1 hour. Using a #1 or #2 tip, pipe the spider’s eyes in white. 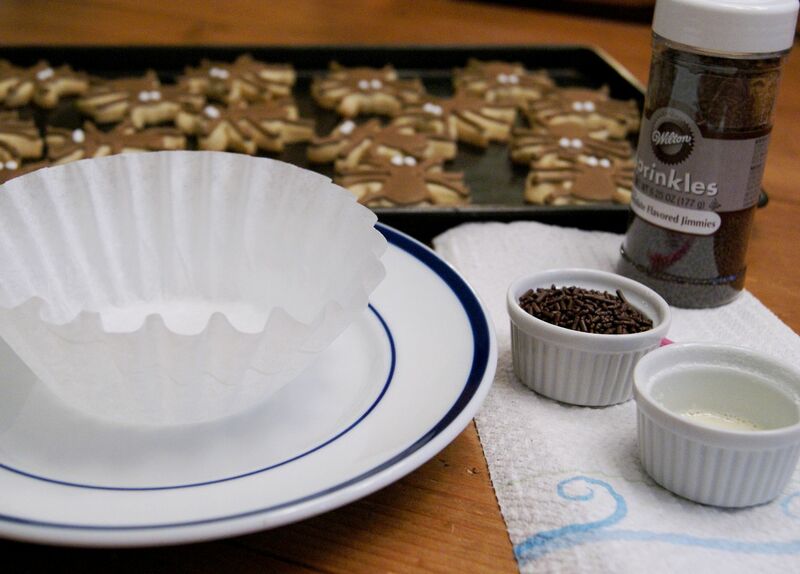 I use a coffee filter as a funnel to reuse sprinkles/jimmies that have fallen off the cookies. Time to add the hairy legs! With a small paintbrush, paint on the meringue powder mixture where you want the sprinkles to stick. 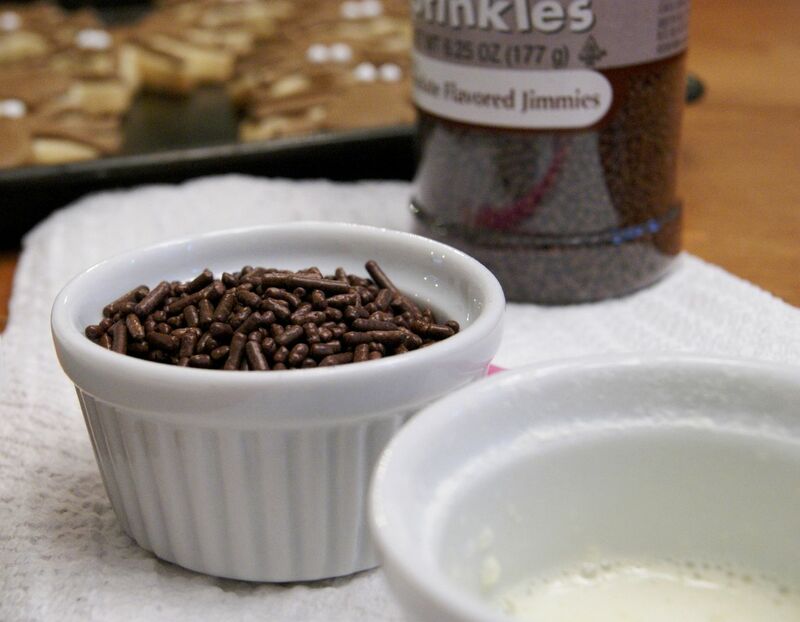 Sprinkle on the chocolate jimmies. That’s it….hairy-legged spiders, ready for Halloween! Thank you, Cheryl, for having me! 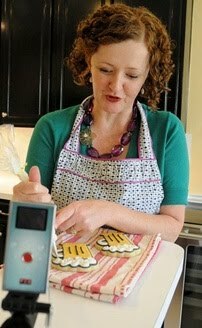 I hope you all will come visit me for more cookie decorating ideas (and lots of other fattening goodies) at Bake at 350! Happy Halloween! My new Gig….Beautiful Blog Designs Contributor! thy look so cute,thanks for the tutorial,.. Thanks for asking me to guest post! Have a great time in Napa!!! Tell everybody “hi” and drink a glass…or two…of wine for me! 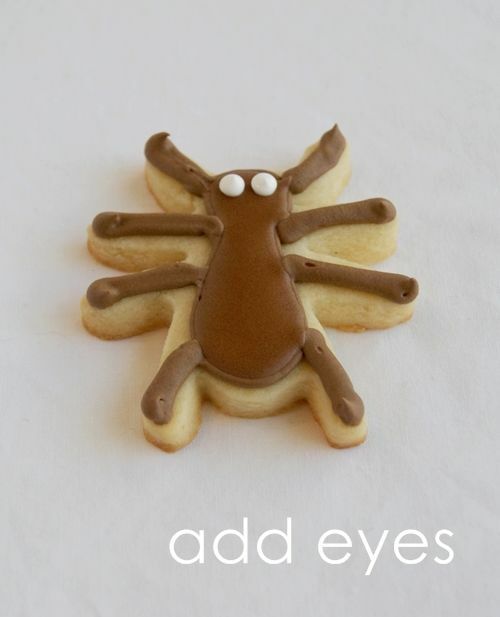 If you can call spiders cute, then these cookies are cute 🙂 Somehow that doesn’t seem quite right. These are creepy cookies Bridget! Kudos for browine points from kiddo! These are absolutely adorable! 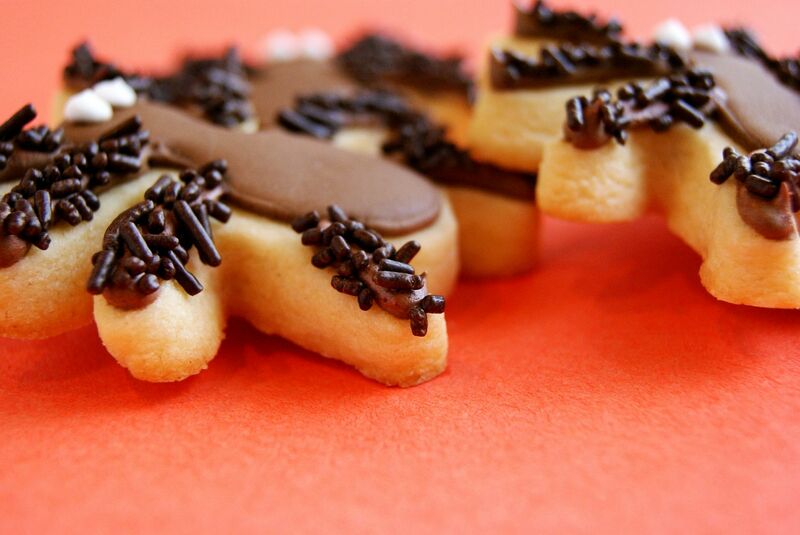 Great cookies as usual, Bridget! So cute! Wonder if Kiddo will bite off one hairy leg at a time when he eats these? You must have quite the filing system for all the recipes you (and others) cut out for saving. I have trouble remembering and finding something I put aside last week let alone a few years ago! So cute! Love these little hairy legged spiders! Have a great time in Napa! Sounds fun! Now I wouldn’t mind THAT spider to sit down beside her! (or me rather) Those are precious! GREAT job holding down the fort Bridget! 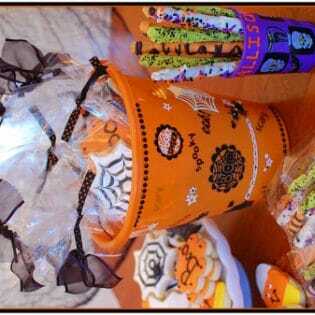 love these – what a fun project for this weekend. 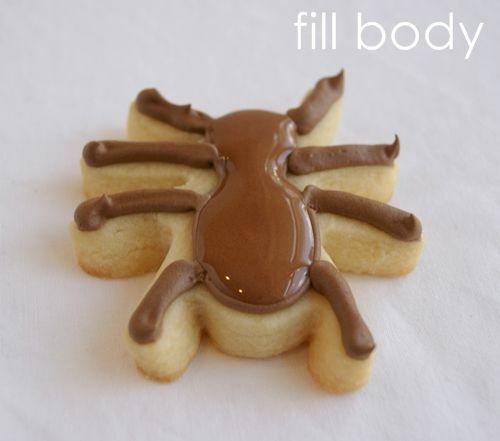 These are like the cutest SPIDER cookies ever! I would just LOVE to eat the HAIRY legs off of one of those! Can’t wait to hear about Cheryl’s BIG trip to Wine Country! Bridget, l love the hairy part of the hairy spider! So clever and cute! Those hairy spiders are so great! Can’t wait to hear all about your Napa trip 🙂 sounds amazing! So cute, Bridget! I love them! I love these….they are so cute! Darling!! I just love these darling spiders. My boys would have so much fun doing these with me. Thanks! 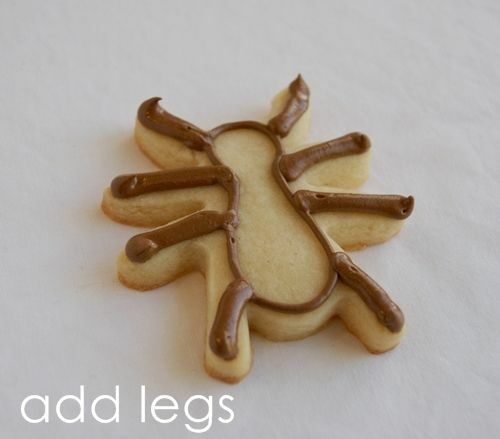 I’m a huge fan of Bake at 350 and these are spectacular spiders with hairy legs. Thanks gals for all the fun…I’m on my way to order some cool cutters for next year! Never thought I’d be enthusiastic about a recipe with “Hairy” in the title, but these little guys are irresistable! Thanks for posting the easy-looking instructions. The hairy legs are awesome- I love it! So creative, as always! Love the hairy leg spiders! Good to know I can mix meringue powder and water when I want to sprinkle sugar or jimmies and body parts! I always race to do it while the RI is wet. Always eager to read your Bake at 350! You make it look so easy, Bridget!